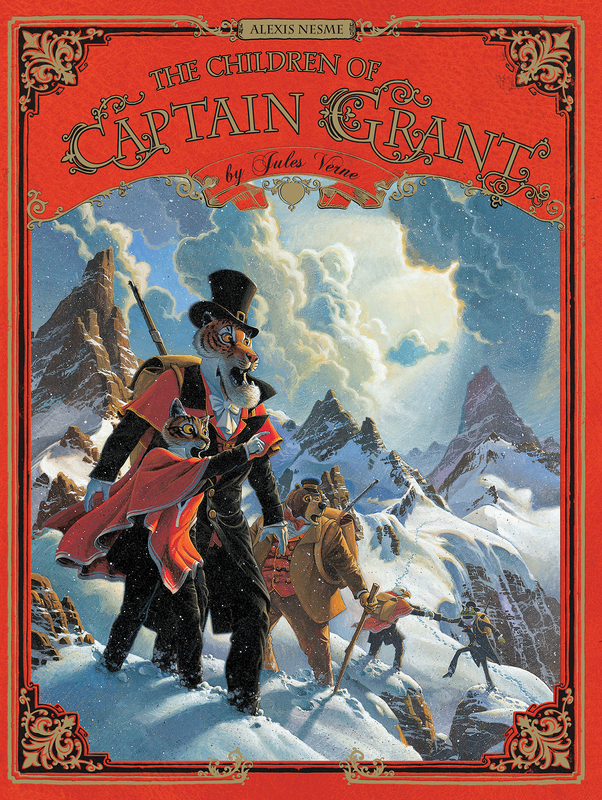 In this adaptation of Jules Verne’s classic novel, The Children of Captain Grant the entire cast of characters has been transformed into anthropomorphic animals! It begins with a message-actually three water-damaged messages-found in a bottle removed from the belly of a shark. Written in three different languages the messages reveal that the long-missing Captain Grant was shipwrecked and is being held hostage. The only clue from the messages that might be of any help, will lead Lord Glenarvan and Captain Grant’s children on an adventure literally around the world!